DAW Books, 2007. 722 pages. This book wasn’t even on my radar until the second book came out and several of my siblings bragged on Facebook about who got their hands on it first. Then my sister Marcy posted a short quotation from the sequel, and by the language alone, I knew this writer was something special. When I went to the bookstore to purchase it, I picked it up and then wandered into the music and movies section of the store. One of the employees saw me holding The Name of the Wind and talked with me for ten minutes about how it’s her favorite book! So I was already quite sure I’d made a good choice. Then I started reading, and right away the language pulled me in. The book has the feel of a true epic, of something sweeping and important. The book begins in an inn with a bunch of locals sitting around and Old Cob telling stories. Looking it over after reading the book, I see lots of clues about what’s to follow. On the second page of Chapter One, you understand the significance of the title in the story that’s told of Taborlin escaping from a tower and the Chandrian. We also quickly learn that there’s something mysterious about the young, red-haired innkeeper. I wondered about the subtitle of the book: Day One of the Kingkiller Chronicles. Was the whole thing supposed to happen in a day? Some sort of demon appears and attacks a man, and Kote deals with it without making it obvious that he knows what he’s doing. Several days pass very quickly. Then a traveler called the Chronicler comes on the path to the inn. In the night, he encounters Kote, who saves him from an attack of more spider-shaped demons with razor-sharp feet. When Kote takes the Chronicler to his inn, the Chronicler recognizes him as Kvothe. He came there to find him, to hear the real story behind all the tales. Kote takes some convincing. Finally, he tells the Chronicler that the only way he will tell his story is if he has three days. Three days to prepare and tell it properly. So the first book is what he tells the Chronicler on the first day, the start of his story. “Kvothe shook his head. ‘No. It began at the University. I went to learn magic of the sort they talk about in stories. Magic like Taborlin the Great. I wanted to learn the name of the wind. I wanted fire and lightning. I wanted answers to ten thousand questions and access to their archives. But what I found at the University was much different than a story, and I was much dismayed. “My name is Kvothe, pronounced nearly the same as ‘Quothe.’ Names are important as they tell you a great deal about a person. I’ve had more names than anyone has a right to. “‘The Flame’ is obvious if you’ve ever seen me. I have red hair, bright. If I had been born a couple hundred years ago I would probably have been burned as a demon. I keep it short but it’s unruly. When left to its own devices, it sticks up and makes me look as if I have been set afire. “‘The Thunder’ I attribute to a strong baritone and a great deal of stage training at an early age. “I’ve never thought of ‘The Broken Tree’ as very significant. Although in retrospect I suppose it could be considered at least partially prophetic. “My first mentor called me E’lir because I was clever and I knew it. My first real lover called me Dulator because she liked the sound of it. I have been called Shadicar, Lightfinger, and Six-String. I have been called Kvothe the Bloodless, Kvothe the Arcane, and Kvothe Kingkiller. I have earned those names. Bought and paid for them. “I have, of course, been called many other things. Most of them uncouth, although very few were unearned. “I have stolen princesses back from sleeping barrow kings. I have burned down the town of Trebon. I have spent the night with Felurian and left with both my sanity and my life. I was expelled from the University at a younger age than most people are allowed in. I tread paths by moonlight that others fear to speak of during the day. I have talked to gods, loved women, and written songs that make the minstrels weep. This is what you’re getting in this book. It’s only the start of an epic tale, basically the story of Kvothe’s childhood. We learn how he was brought up in a band of traveling players, incredibly quick to learn. We hear how his parents were killed and he spent years on the streets of a city, but then made it to the University. Along the way, a few of the things he mentioned above happen. And in the frame, in the present time, grave things are afoot. There’s no telling how that will play out. The worst thing about this series: It is not complete. Of course, I will have the joy of rereading the first two books when the third comes out. Patrick Rothfuss has a lot of loose ends to tie up, but I have no doubts that he will be able to pull it off. This was the sort of book that I told everybody about while I was reading it. Now I’ll urge my website readers. This book is unforgettable. Read it! Source: This review is based on my own book, purchased in a Barnes & Noble bookstore. Okay, tonight I’m hoping to get an official page posted of 2011 Sonderbooks Stand-outs on Sonderbooks.com. I want to give the review page for each Stand-out the new heading, with the Sonderbooks Stand-out Seal (say that three times fast). Then also update the links on the other pages to the most recent year’s page, and post the reviews of books that hadn’t posted yet. So what will follow this post will be reviews of Stand-outs. Tonight, I hope to finish posting the Fiction books and reviews. I would love it if any of the books I name wanted to snag a copy of the Sonderbooks Stand-out Seal to put on their webpage. I’ll probably continue with one type of book at a time, as I did when announcing the Stand-outs. As you can tell, it’s been a couple weeks since I posted. What have I been doing? Well, I’ve got several stacks of books I’m meaning to review. While I was silent, I was writing reviews of the Sonderbooks Stand-outs that I hadn’t reviewed yet. I plan to post those reviews when I have a new webpage made for the 2012 Sonderbooks Stand-outs. Then I can post the reviews and add them to the appropriate page. I know, I know, I should probably just switch to a blog only format — that would take much less time. But I really like my website, with all my reviews available, and organized by the type of book. I very much want to blog about every event I attended at ALA Midwinter Meeting, particularly the Morris Seminar. So I hope that will be forthcoming soon. I’m even skipping working on my own books for awhile to try to catch up on reviews. So we’ll see. The crucial thing is I have to realize that, since my stroke 6 months ago, I don’t have as much energy to spare. I was healing, but had some kind of setback that’s causing double vision now (only if I look in certain directions), and I get tired easily again. What it boils down to is that I need more sleep — so I’m not getting as much blogging done. I’m trying to use my energy to make it to work, and there’s not always much left when I get home. Mind you, I had a fabulous time in Dallas and felt great — but I noticed on my first weekend off after that trip that I did leave myself with an energy deficit. All that is to say, don’t give up on me! Soon (maybe even tonight? tomorrow? this week?) I hope to post my webpage of Sonderbooks Stand-outs, and then the reviews of the books left. Then I have lots more reviews queued up to post, and I also do plan to post about ALA. And I definitely want to start reading and posting about Der Orden der Seltsamer Sonderlinge, so there are many good things to come! Okay, so enough explaining! I’m going to work on that page! I’m so excited! Four years ago, the Association for Library Service to Children announced it would be starting the William Morris Seminar: A biennial invitational training in book evaluation skills, run by people who have selected past Newbery, Caldecott, Odyssey, Geisel, and other award winners. I applied that time, but didn’t get accepted. I applied two years ago, but didn’t get accepted. I applied this time and did! So will I let a little thing like iffy health after a stroke stop me from attending? No, I will not! But now it’s getting down to the wire. The seminar is this coming Friday, in Dallas, and as soon as it is over, ALA Midwinter Meeting begins. I have today off, but I will be working tomorrow and Wednesday. Wednesday night, I have to go to a “Senior Night” for parents at my son’s school. I believe they are mainly collecting money! But also some information will be given out, and I need to fill out some forms and drop off a toddler picture of my son. Then I leave on Thursday. In the meantime, I also really need to get the FAFSA and CSS Profile paperwork done for my son’s financial aid applications. Because if I wait until after the seminar, the time will be too short. Better do it today, but I do find myself definitely procrastinating. On a more fun note, I should go over again the books on our discussion list. I’ve read them all, but I should look at them afresh in terms of discussing their distinguished qualities. I think I will interrupt my reading plans to reread Okay for Now after I finish Death Comes to Pemberley and take notes for discussion. Then there’s the matter of packing. I am sure I will have plenty of chances to pick up books to read once the conference starts on Friday. But what to read on the plane? What to read Thursday night? I may well have finished rereading Okay for Now by then. The next item on my 2012 Reading Plan is an Award Winner. I was going to read Please Ignore Vera Dietz, but I don’t like to bring hardcover library books on trips. So instead, I think I’ll go further down the list and read Everybody Sees the Ants, also by A. S. King, which is a 2011 Cybils Finalist, and which I have as a paperback ARC. After that, my plan says I read a prepublication ARC, so I think I will tuck in Drowned Cities, by Paolo Bacigalupi. Since I’m also bringing Okay for Now for the Morris Seminar, and since I will have plenty of opportunities to pick up new books, that will surely be plenty to bring. The big question is, can I really stop with those three? We shall see…. Of course another huge highlight of ALA Midwinter is the Youth Media Awards announcements on Monday morning. In the past, I’ve followed those on the internet, so it will be a thrill to be there in person, especially having discussed possibilities in detail at the Morris Seminar. Another thing that makes me happy about ALA Midwinter is that I’ve already connected with some friends who will be there. I’ve only officially been a Librarian for four years, so I am very happy to already have some good friends in the library world. I’ve made them via Twitter, blogs, KidLitCon, our local DC KidLit book club, and other ALA events, and these are people who are also interested in great books for children. It feels very good to feel part of this world and have actual friends I’m excited to see and some to meet in person for the first time. Oh, and on top of that, my writing buddy is going to come for the weekend and share my hotel room. We met in Paris and she is a wonderful vivacious and encouraging person, and I’m so excited to get some time with her. Of course, on top of all that, I’d really like to get my 2011 Stand-outs page posted! And all the reviews written for the books I chose. We shall see. This day off is already getting out of hand. And did I mention that on top of all of it, I’ve caught a cold? Oh, and I finally have an appointment with my neurologist — the day after I come back — to find out if I had another stroke some time in December. At least that way he won’t have the chance to tell me not to go! Speaking of my neurologist, I was proactive and got a note from him to allow me to bring a rolling cart onto the exhibit floor. Since every single e-mail about the conference ends with the admonition: “No rolling carts are permitted on the exhibit floor!” I hope that this note will give me an exception. At ALA last summer, I knew my shoulder and neck seemed to be hurting extra from carrying a heavy bag of books, but I didn’t realize I’d had a vertebral artery dissection and was probably making it worse. Now I’m going to stick to my guns and insist on that cart. I’ve already had two different dreams about ALA Midwinter! In one, I met Brian Selznick and was discussing why I think his book is fabulous as a whole, but I don’t think the text or illustrations on their own are distinguished enough to win (though I would be happy enough if I’m wrong). In the next, I was at an SCBWI Conference, happily picking up free books. I must be excited! Now that I’ve posted my own favorites read in 2011, I can stand to read the lists of Cybils Finalists! I’m very proud to be a book blogger, part of the Kidlitosphere, the people who do the Cybils Awards. With the Cybils Awards, the judges (book bloggers) try to balance literary quality with Kid Appeal. They want these to be award winners that kids and teens will actually want to read. I think they achieve this goal. Another cool thing about the Cybils is the philosophy behind the Finalists. There are two rounds of judging, Finalists, and then one winner in each category. I’ve talked with some Cybils panelists, and they try to come up with a representative group of books for that category. You won’t find all historical fiction with girl protagonists, as sometimes happens with the Newbery. They are looking for a well-rounded list of the top books, and I think they also achieve this goal. This year, I tried to nominate early, because last year all my favorite books had already been nominated. To my delight, three of my nominees are Finalists! Dodsworth in Rome, by Tim Egan, in the category of Easy Readers. These are all great books, and I honestly hope each one wins, though at this point, I’m simply excited that they are Finalists! And now, my final category of Sonderbooks Standouts: Picture Books! This category is difficult, since some great picture books have been sitting around my house for awhile, waiting for me to review them. And I need to compare those to the outstanding picture books I read earlier in the year. I usually am not a big fan of more contemplative books without a story, but somehow I totally fell for Stars, by Mary Lyn Ray, and illustrated by Marla Frazee. I hope it wins the Caldecott Medal this year. Both Stuck, by Oliver Jeffers, and I Want My Hat Back, by Jon Klassen, are a bit subversive, but both made me laugh out loud, are very well done, and simply have to be included. Next, I’ll try to get a webpage on my main Sonderbooks site for these standouts, add the Standouts seal to their review pages, write the reviews I haven’t written yet, and post the reviews I’ve written but are waiting to be posted. So I’ll be staying busy! This is a strange category. But I had four books that I’d “reread” by listening to the audio version, and were definitely standouts. However, they were all already standouts in the print version, in whatever year I read them, so it didn’t seem at all fair to rank them against the books I read this year (except the one I read this year, which is already a standout). I’m going to interrupt my posts about Sonderbooks Standouts to talk about my new plans for reading books in 2012. To understand this, and how much fun I’m having making plans, you probably should know that I am a rule-follower and love rules. I decided to channel this love in harmless, fun areas. I also check out way, way too many library books and get far too many Advance Reader Copies and other free books at ALA conferences. And I also buy more books than I can get read. Up until the middle of last year, I had a problem that if I owned a book, I never got it read, because it didn’t have a due date. After ALA in June, with so many fabulous ARCs I really wanted to read, I decided to assign myself a rule: I will alternate reading Library books with books I own. Later, I got to thinking that since I love rules and I love spreadsheets, why not make myself some rules about what books I’m allowed to keep checked out and which to turn in? I call it The Rule of Three, and basically I try to only have three books checked out in each category — and I have lots and lots of categories. When I check in books from having too many in a category, I put them on a list for a mythical future day when I will have less than three books checked out in that category. Theoretically, every day I get a pile down to three by checking in books from that category. I’m having mixed results with The Rule of Three, but mostly it’s gotten me to turn in more books than I otherwise would have, and be slightly realistic about what I can get read, so I think it’s a good thing. The alternating between library books and books I own, however, is working out super well. I’ve gotten lots of wonderful books I own read, and haven’t been too horribly much slower on the library books. This brings me to 2012. When the year started, I received a package in the mail with four Advance Reader Copies that look really good. I looked at my piles of ARCs from ALA — and most of them have already been published. The point is kind of to read the books before they’re published, you know? So, I thought I’d add a new rule. Every other time, with the books I own, I’ll read an ARC that hasn’t been published yet. That led to another. With library books, I will also alternate between recently published books and others. Because I do like keeping up with what’s recently been published. But then Mr. Schu from Mr. Schu Reads posted about The Newbery Medal Challenge. He’s going to read all the Newbery Medal winners in 2012. That got me thinking. A year and a half ago, I took a class on the Newbery Medal and read many of the winners. Last year, I took a class on the Caldecott Medal and read all the winners. And finally, a few months ago, I took a class on the Printz Medal. When I took the Printz class, I decided that since it’s a much newer award, it would be much more manageable to try to read all the winners and honor books. So I made myself a list of all the ones I hadn’t read, starting with the present. There are 43 books on the list. But I hadn’t actually started reading any of the books on the list. But why not do it as a challenge? And add it to my rules? So far, I had four categories I’m cycling through: A library book, a prepub ARC, a new library book, and a book I own. Well, why not add a fifth category. After those four categories, I’ll read an Award Winner! But then, oh no, I got jealous of Mr. Schu reading the Newbery books. I thought, why not alternate my award winners between Printz Medal and Honor books with Newbery Medal and Honor books? I will start with the present — I always want to read the new award winners — and just list the ones I haven’t already read. There are 288, so I am not at all thinking I’ll finish this list any time soon. But what a fun use of rules to get myself actually reading them. But, uh-oh, then I got to thinking: There are other award books I’ve really been wanting to read. How about the Morris Award? That’s a very new award, so there aren’t all that many books I haven’t read (17, it turns out). I can add that list as a third award-winning list. But I have a real soft spot for first-time authors, since I’m trying to get published myself, so I’d really like to read those winners and finalists. And wait! What about the Boston Globe/Horn Book Award? (210 winners and honor books I haven’t yet read.) Or the National Book Award for Young People’s Literature? (154 winners and finalists I haven’t yet read.) And how can I forget the Cybils? They are chosen by Bloggers, my people. I’d been wanting to read those books, and it’s a newer award, so I don’t have to go back too far. In fact, it turns out there are 135 winners and finalists in the categories of Middle Grade and YA fiction and nonfiction and fantasy/SF fiction that I haven’t read yet. Remember I told you you needed to understand that I’m a person who loves rules? Believe it or not, I had all kinds of fun making spreadsheets for each of these awards. And I’m so excited about my new plan, I just had to write about it. I decided, to make the whole thing even, I’d add one more category to my reading cycle: Rereads. When Sonderbooks was an e-mail newsletter, I always included one Old Favorite, but since I switched to a blog, I haven’t done nearly as much rereading, and I miss that. So why not include one every sixth book? Besides, I just got the sequel to Coronets and Steel, and I very much want to enjoy rereading it before starting the sequel. Now, I should add that there will be exceptions. If I would ever get on an award committee (which I would love to do), I’d happily set aside these rules for awhile. And right now, I’m finishing up reading the Shortlist from the Heavy Medal blog so I can vote in the mock Newbery they’re hosting next week. Another exception is that when I go on plane trips, I only bring paperbacks, and usually ones I own. Clearly, obviously, reading all these Award Winners is not something I’m going to finish this year, or maybe even in my lifetime. I will be very happy if I get all of this year’s award winners read before next year’s are announced! But I am very excited about having this objective method for choosing excellent books for one-sixth of my reading. I do think it will be fun to blog and tweet about this process of reading Award Winners. All I can think to call it is #awardchallenge. We’ll see how I do. Did you notice that I didn’t include Nonfiction or Picture Books? Those each have their own completely different systems. I won’t even start to try to explain them. Call me crazy, but I’m really looking forward to carrying out this plan! It’s going to be a great year for reading! 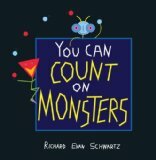 I grant you, I am a math nut, so I don’t necessarily expect to find this book on the top of too many other children’s book lists. But I sure loved it! You are currently browsing the Sonderbooks blog archives for January, 2012.